Are racing stories like fish stories? One thing is for sure, just as you can’t tell the tall tale of the giant tuna if you never leave the dock, if you don’t compete it’s hard to tell the story. So register now for the Buzzards Bay Regatta (BBR) and a chance to create new sea stories. It seems that the chaos at the windward mark, the size of the waves, and the strength of the wind grows as fast as the length of the tuna that you almost landed six years ago…it most certainly would have sunk the boat. Many sailors from New England can tell stories of their days racing in the BBR, whether from the racecourse or the tent party, and that history is woven into the fabric of the event. 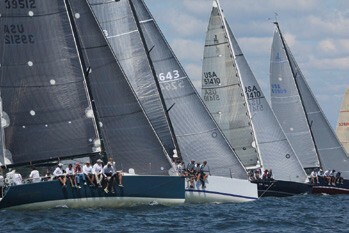 Can you attribute any of your passion for sailing and racing to the BBR? Do you have BBR stories from the racecourse, lifelong friendships fostered at the tent parties, and other moments that give BBR a special place in your heart? BBR has been the venue of thousands of sea stories, countless friendships, and certainly some strong rivalries, passed down by generations. I’ve heard stories of racing glory, the unbelievable tale of the incredible tactical call to bring home the final race, boat breakdowns from the relentless Buzzards Bay sou’westers, and folk tales of cockpit rum punch, the result of a trash can, an outboard motor, ice, juice, and of course rum! I’m told the key was to fill your cup below the surface to avoid skimming any of the oil from the old two-stroke engine-turned-blender. Starting new traditions is hard, but keeping the traditions of prior generations can be even harder – how do you maintain the intent, the vision, and the momentum while changing with the times? It’s a question that regatta organizers across the country are grappling with each year. BBR is co-hosted by Beverly Yacht Club (BYC) and New Bedford Yacht Club (NBYC) and was born out of an idea sketched on a bar napkin more than 40 years ago. What started as an idea to foster stronger racing and competition has grown into the fabric of the yacht clubs on Buzzards Bay, and continues to have a strong following, a loyal contingent of stewards who work hard to pull the event together, and name recognition among sailors far beyond the waters of Buzzards Bay. One of my fondest BBR memories was the feeling of getting to join the “big leagues” as an Opti racer making the transition to the 420 fleet. Sure it was exhilarating to sail with the big kids, but it was what I learned on the racecourse that keeps the memory alive every time I approach the starting line – Start in the Front Row. In typical BBR fashion, that year we had one day of a strong sou’wester. Racing at the mouth of the harbor, it was complete with the steep chop produced by an ebbing tide in the afternoon, and keeping the boat upright was becoming a real challenge for those two youngsters. At the start of the day’s last race, with the tide pushing the fleet over the line, the dreaded Black Flag came out. Cold, tired, and discouraged, we rationalized that there was no disgrace in getting Black Flagged and heading for shore, so we set out to be just a little too aggressive. As the gun went off, we waited for the individual recall flag and our ticket home that never came. Looking around, we realized we were in the top 10 of this competitive 100+ boat fleet. Sure, it makes logical sense on the whiteboard that starting in the front row is key to a successful race, but until you get that feeling of seeing the fleet below you, it’s nothing more than a theory. BBR 2016 will be a special event and mark the start of a renewed era of competition on Buzzards Bay, ascribing to the mission statement of the “Friendliest Regatta on the East Coast.” It was about two years ago that the current stewards of the event began sketching ideas on napkins and working hard to design a sustainable, competitive, and fun model to take BBR into the future. With a renewed focus on adult keelboat racing and the fleets that are local to Buzzards Bay, BBR looks to continue the tradition of attracting top-level competitors and race committee officials to our area while allowing Buzzards Bay clubs to come together and compete at a single venue. Whatever your BBR stories are, BBR 2016 is a great opportunity to enjoy fantastic camaraderie, top-notch racing and unparalleled hospitality, while creating some stories of your own. Join us on the starting line Friday, August 5, 2016 and help create some new BBR memories to shape the event for the generations to come. 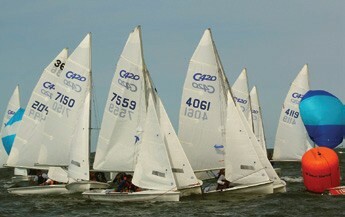 Visit buzzardsbayregatta.com for details and registration.